CWAC (Co-ordinated Waterbird Annual Count) at Zandvlei. Zandvlei looking from the north of the waterbody towards Muizenberg and Simons Town in the south. The counts take place quarterly in January, April, July and October each year. We start at 08h00 and finish by 11h30. Please make a note in your diary. More volunteers are always needed for the counts as this is a large area to cover. (see the photo above). We need people in canoes to do the Marina canals and the out of the way places. We count and record the species and the number of water birds. You will need a pair of binoculars, a spotting scope is very useful, if you have one. You do not need to know too much about birds as you will be given guidance and if you have the interest you should learn quickly. If you are not that confident of identifying the birds, we need scribes to write down what is called out. If you are knowledgable about birds we need you too. It will only take 3 hours of your time. We are out in the fresh air, in touch with the elements and nature. We are trying to document part of the remaining the natural world we are privileged to live so close too. Zandvlei lower, includes the southern Marina canals, Park Island and the Caravan Park. This is part of the national census of all water bodies in South Africa. The information is collated by the ADU (Animal Demographic Unit) at the University of Cape Town. See the ADU website for more. The information helps scientists study the movement and distibution of water birds throughout the Southern African wetlands, dams, vleis, estuaries, rivers and all the seasons. This information is also used to determine and forecast what possible effects weather patterns and maybe climate change will have for all living organisms, humans included. A few dedicated people have been recording the data since 1995. Come and help and you will learn more and become more knowledgable about the area you live in. You are welcome to join us. 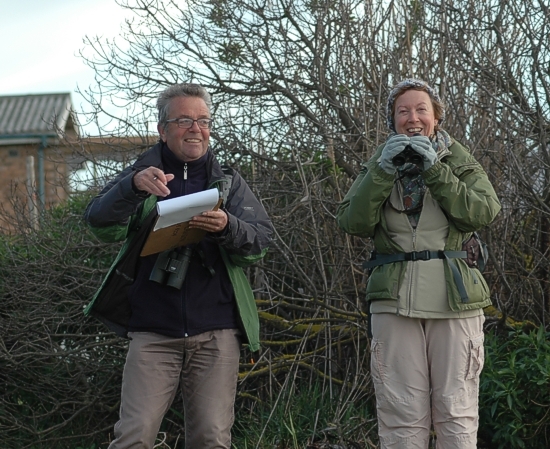 Barry Parker and Linda Hibbin on the western shore of Zandvlei at the July 2016 count. Combined results of these areas. October Zandvlei Upper Zandvlei Lower Westlake Wetlands updated. July Zandvlei Upper Zandvlei Lower Westlake Wetlands updated. April Zandvlei Upper Zandvlei Lower Westlake Wetlands updated. January Zandvlei Upper Zandvlei Lower Westlake Wetlands updated. Combined results of the areas. 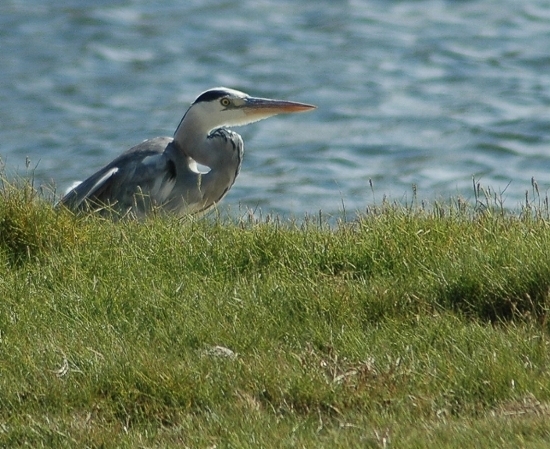 A juvenile, one of a pair of Grey Herons at the January 2016 count.